March 3rd 2005. Caprices Festival, Crans Montana, Switzerland. July 16th, 2005. OFI Stadium, Heraclion, Greece. "The show was supposed to start at 21:00, but Deep Purple went out at 22:20 – we previously endured some 25 minutes of a duo with guitars playing unplugged covers (Oasis – Wonderwall, Joan Baez – Diamonds And Rust, Tonic – If You Could Only See, Pink Floyd – Wish You Were Here, Eric Clapton – Layla, etc.). Pretty boring and certainly NOT suitable for a Deep Purple support act. When Deep Purple hit the stage (after much shouting from the crowd and some comic performances by their roadies) the crowd went… bananas! They started with Silver Tongue and carried on with the usual recent set list. Don Airey was very good, he certainly did very well for someone stepping on Jon Lord’s shoes and his solo was magnificent, incorporating classical pieces, Star Wars (as usual) and a couple of Greek folk tunes. Steve Morse was smiling all the time and got huge applause for his solo and The Well Dressed Guitar. Roger Glover soloed for a while (it was more of a battle with Steve actually) at the beginning of Highway Star and generally was solid as expected. The same goes for Ian Paice, he didn’t miss a beat, though his solo in the middle of Hush was VERY short (WHY???). That leaves Ian Gillan last (but not least!) : I admit that I had accepted that as he is turning 60, it is very natural to have lost some of his voice. Well, what can I say, he proved me wrong (I should apologize…). I haven't heard his voice sounding so strong since the Come Hell Or High Water era – no comparison to the weakness of the 80’s. He screamed, screamed and screamed, he had his low, deep voice, he had his “normal” voice and did I mention that he screamed? July 17th 2005. Earth Theatre, Thessaloniki, Greece. "The show was really great, with the band full of energy and power. 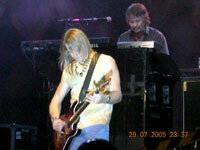 I really liked Don Airey's playing, which was based on Jon's studio work for most of the old songs. The set list was the same as Canadian tour - beginning with Silver Tongue followed by Woman From Tokyo. Highlights for me were Space Truckin' and Demon's Eye. July 19th 2005. Skopje Skating Ring, Skopje, Macedonia. 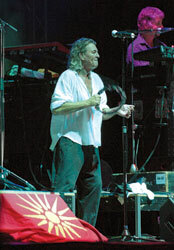 "This was Deep Purple's first ever show in Macedonia. The concert was held in the open air in front of 6-7,000 people, not only from Skopje and different cities in Macedonia, but also from Kosovo and Serbia. The band played for little more than an a hour and a half, performing mostly their old hits. We had pleasure to hear: Woman from Tokyo, Space Truckin', Highway Star, Strange King of Woman, Smoke on the Water, Lazy, Black Night, with Hush as the finale. "This is a brief note to report back on Deep Purple's appearance at the Festival des Vieilles Charrues (literally "The Old Ploughs Festival") at Carhaix in Brittany last Friday (July 22). The Vieilles Charrues is what you might call an "eclectic" festival...lots of world music, lots of performers little known (or not at all known) outside France, and a reputation for giving stage-time to new and promising acts. Deep Purple were sort-of headlining on Day 1 of the Festival. They were preceded by the Buena Vista Social Club and Jane Birkin (see what I mean by eclectic?) and hit the stage just as dusk was falling. They were just amazing! Although it has to be said that the list was what you might expect (all the old favourites) the boys were on brilliant form and the audience of some 60,000 were blown away. Being part of a crowd that big screaming "Smock on ze watair..." on cue was quite an experience. Part of Deep Purple's performance was shown on French TV, including Silver Tongue, Contact Lost, The Well Dressed Guitar, Perfect Strangers & Smoke On The Water.
" In the press conference the band said; " We'll never forget the Turkish Audience from1998, the most enthusiastic crowd in the world! " When the concert began, that was proved to be true ! The setlist was 01-) Silver Tongue 02-) Woman From Tokyo 03-) Strange Kind of Woman 04-) I Got Your Number 05-) Demon's Eye 06-) Contact Lost 07-) Steve Morse Solo 08-) Well Dressed Guitar + ( Group Jam ) 09-) Don Airey Solo + " Üsküdara Giderken " ( Traditional Turkish Song ) 10-) Star Wars atc. (Don Airey) + Perfect Strangers 11-) Highway Star 12-) Space Truckin 13-) Smoke on the Water. Encore: ; 14-) Black Night 15-) Lazy 16-) Hush. Nearly 95 minutes in total, and a great performance. Unforgettable. See you next time guys." July 29th 2005. "Merida Rock Festival", Campo de Fútbol, Merida, Spain.
" It was the first time that Deep Purple had visited this ancient Spanish town near Portugal. I drove from Bilbao to see them. There were about 5,000 people in an open air setting and at about 23:10 (after a fantastic performances from Doro and Saxon) Silver Tongue started... The set-list was the same as in other places this summer, and sounded fantastic. 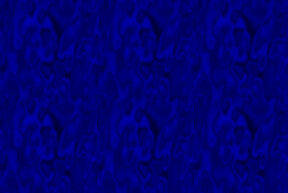 (Why don´t they play anything from The Battle Rages On, House of Blue Light, Purpendicular, or Abandon?) They were in very good humour and the crowd enjoyed every song, especially Demon´s Eye, a heavy Perfect Strangers and Lazy. After 95 minutes - a little short for a band who need another 30 minutes at least." July 30th 2005. Plaza de Toros de Atarfe, Granada, Spain. "Huge crowd, baying for Purple, and they got a storming show. Gillan sounded hoarse and was low in the mix, as was Airey... some dubious sounding keyboards to my ears it must be said. Paice, Glover and eternal man of the match Steve Morse really pulled the night off. Tighter than a Scotsman on New Year's Eve, they reached some scary heights.... Well Dressed Guitar, Highway Star with its jammed intro, Space Truckin, Contact Lost.. It's a shame the two most recent tracks - Silver Tongue and I Got Your Number sounded, well, alright, but nothing more. Demon's Eye was also tasty. The set could have been punchier, in my view, had they included some neglected faves like Somebody Stole My Guitar, '69, Almost Human, Ted, Feel Like Screaming... but it was a party crowd, a party night, and they proved that their legacy is way bigger than they are and that they will never be able to live down the big numbers from their glory days...and that's many a musician's ultimate ambition, to create a piece of music that will outlive them and touch millions of lives. Purple have indeed changed the world, and on tonight's evidence it's a hell of a better place for it. Barry Smith, Sevilla, Spain "